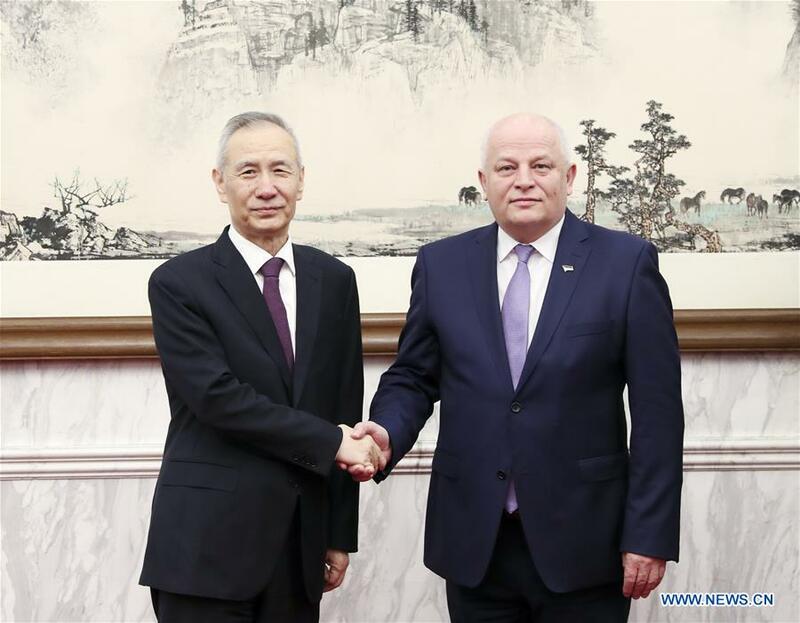 BEIJING, Nov. 8 (Xinhua) -- Chinese Vice Premier Liu He met with Ukrainian First Deputy Prime Minister Stepan Kubiv Thursday in Beijing. The two sides should implement the consensus reached by the two heads of states, take the joint construction of the Belt and Road as an opportunity to promote bilateral pragmatic cooperation in various fields to a higher level and benefit the two peoples, Liu said. Kubiv said that the Ukrainian side attaches great importance to developing ties with China and is willing to actively participate in the Belt and Road construction. He welcomed more Chinese enterprises to invest in Ukraine and constantly boost bilateral cooperation in fields including economy, trade, agriculture, infrastructure and humanities.